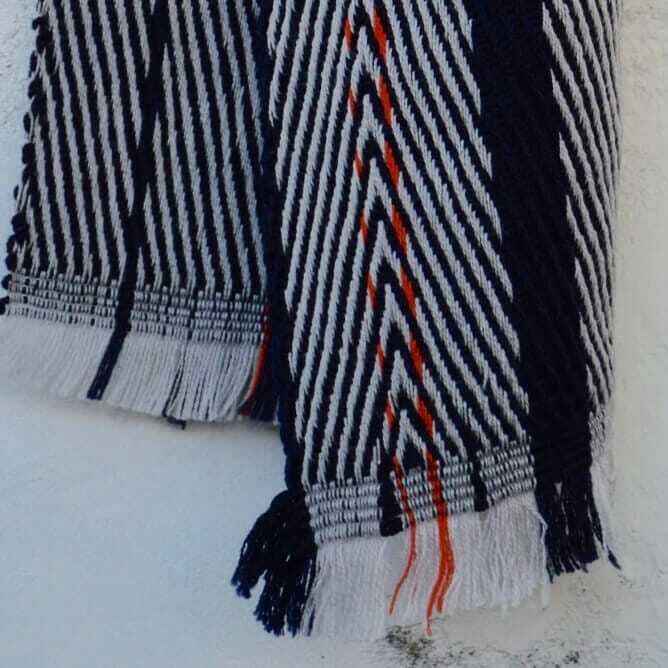 The Effra scarf from our Brixton Collection is a beautiful combination of neutral light greys and navy with highlights of bright coral. 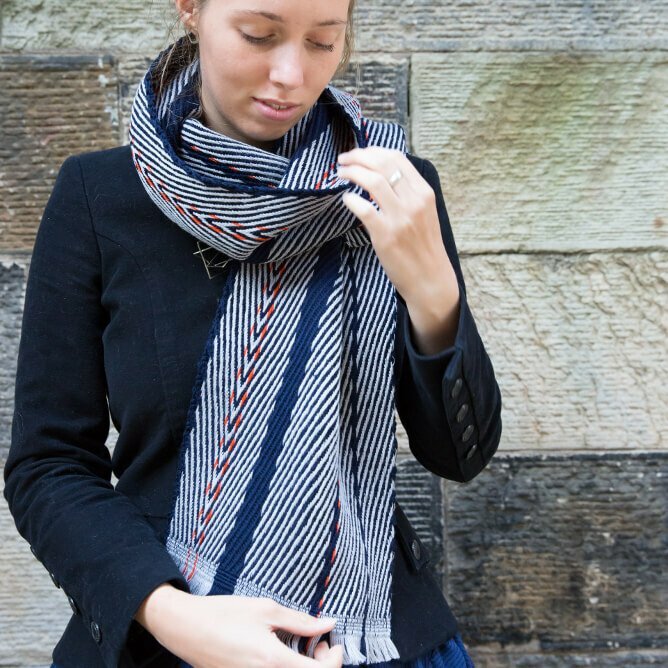 Lush thick merino wools make this scarf the perfect piece to keep you warm. 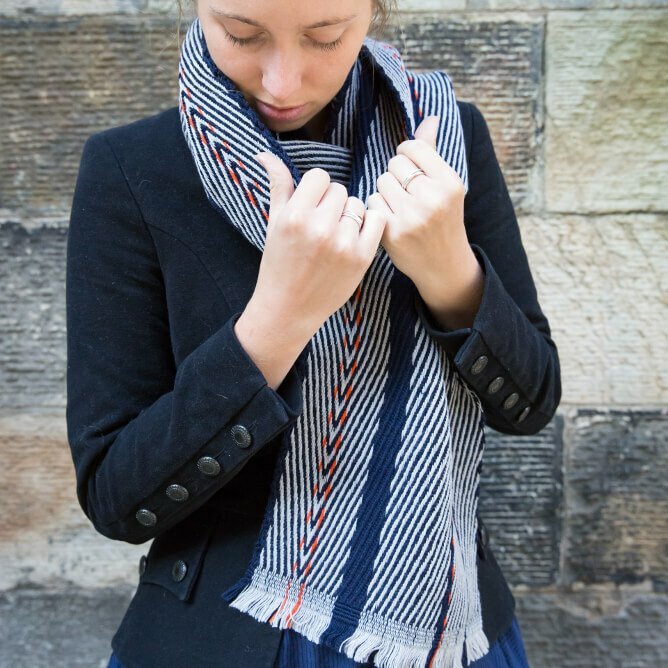 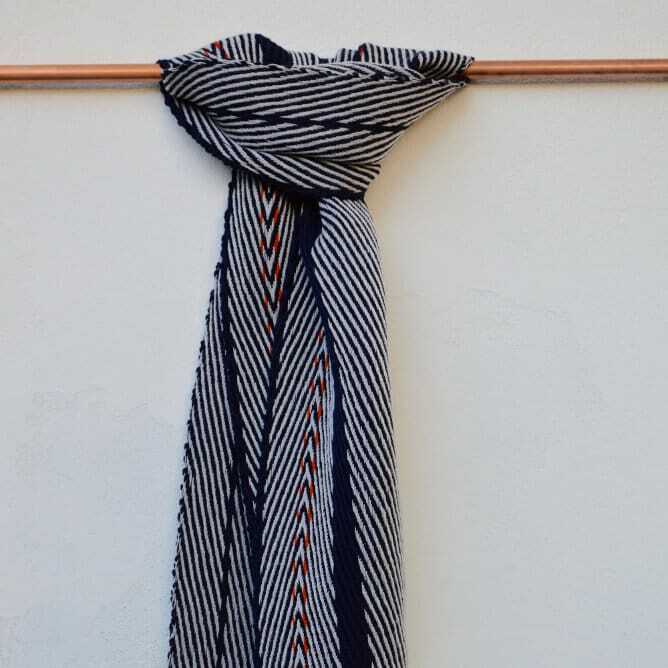 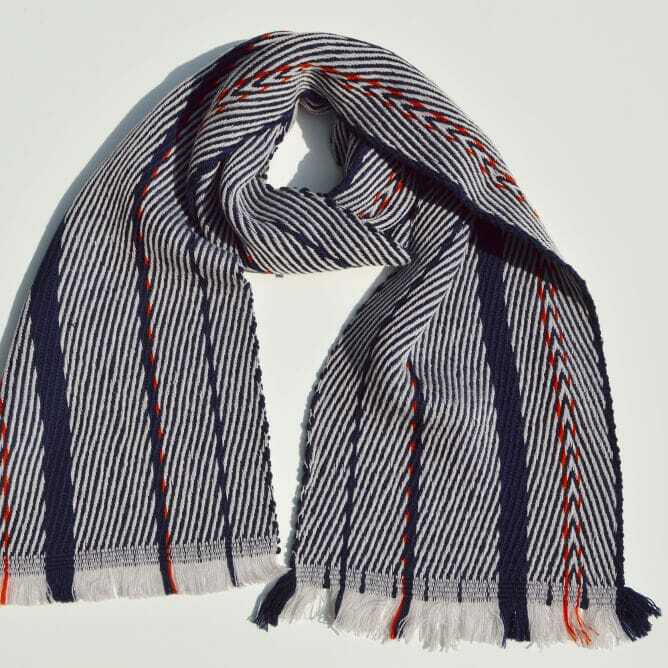 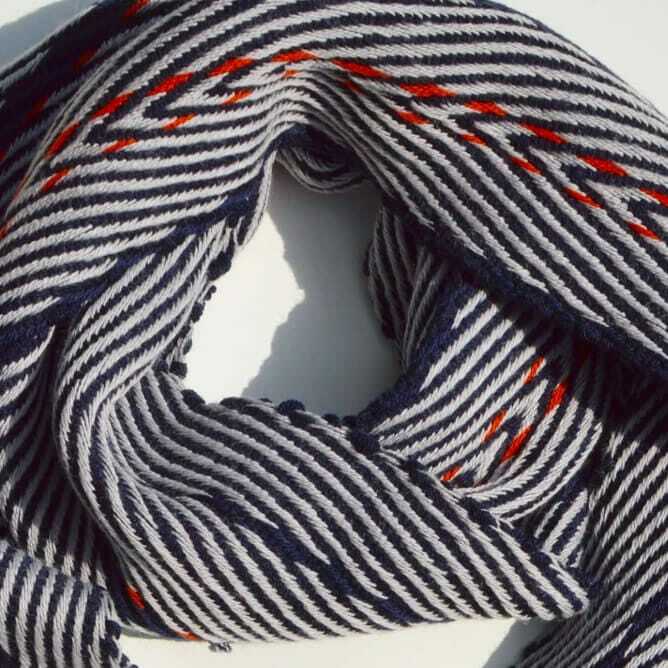 This scarf is handwoven by Charlotte on our 24 shaft Louet Magic Dobby Loom, with a typical lead time of 4-6 weeks.